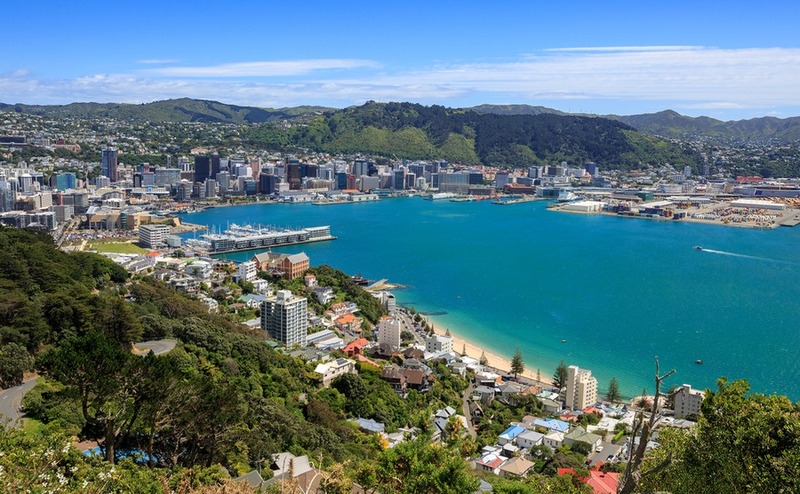 New Zealand’s capital city of Wellington is a wonderful place to settle when you emigrate. Being the country’s capital, you’ll find bags of culture and opportunities for employment and to socialise, plus it’s simple to find good value property located on the water with wonderful views guaranteed. Today, we’re taking a look at a city property to reveal to anyone buying in Wellington what they can expect. We’re also reviewing how the city’s property market is performing, the average prices for property depending on your needs, and revealing some of the more affordable suburbs in town. Wellington supposedly has more cafés, restaurants and bars per capita than New York. As the capital of New Zealand, it’s also home to plenty of galleries, museums and cultural institutions, such as Museum of New Zealand Te Papa Tongarewa and the avant-garde City Gallery. Discover how to access medical care with our guide to Healthcare Abroad. If you’re more of an outdoors type, Wellington’s perfectly set up for you. The city’s founding fathers designed a green belt, known as the Town Belt, now a popular place for walkers and joggers. You’ve also got a wide choice for beaches. Oriental Bay, close to the centre, is a small beach lined with apartments and swish restaurants. Drive ten minutes out of the city and you’re in Lyall Bay, renowned for its great surfing. Why not take the East By West ferry over to Eastbourne – a charming seaside town with a small, sandy beach? When buying in Wellington, it’s important to consider the sunshine aspect. 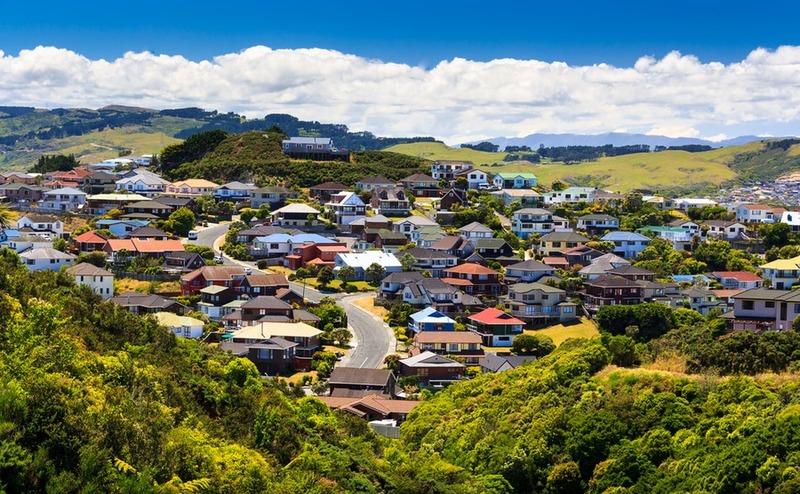 As of mid-2018, the average price of a three-four bedroom property in the New Zealand capital according to state-owned organisation Quotable Valuer, is around $780,000. If it’s something bigger you plan on buying in Wellington, homes with five bedrooms or more average around $847,200 (£432,000). For a one or two bedroom home, prices average $445,350 (£227,000) and for an apartment or townhouse you can expect to pay around $520,100 (£265,100) and $514,350 (£262,170) respectively. Property prices are largely on the rise, but very steadily by just 1.5%. One of the best spots for buying in Wellington is Khandallah, which is located 4km to the northeast of the CBD. This is a leafy suburb, dominated by green spaces. It’s nestled in the hills overlooking Wellington Harbour, making it an idyllic spot to settle when you move to New Zealand. Prices are high, however, with a median value of $1,000,000. Up in the hills, many properties in Brooklyn have fantastic views over the city. It also enjoys all-day sunshine. The average price is a bit lower than Khandallah, at $830,000. Find out what you need to know for you move by downloading your free Emigration Guide today! If the priority for you is finding a suburb that’s perfect for a family, have a look at Johnsonville and Newlands. They have good state education options, including the arts-oriented Onslow College. Newlands is slightly more affordable than Johnsonville. Property in the former costs around $650,000, and $620,000 in the latter. Make sure your home isn’t in the shade, as some areas are very damp. Many homes in Wellington are detached. Finally, if you haven’t got the memo yet, do bear in mind that Wellington is a damp city. This means that when buying in Wellington always try and find a property that attracts good afternoon sun. Try and see the property in the morning and the afternoon to see if it’s shaded. 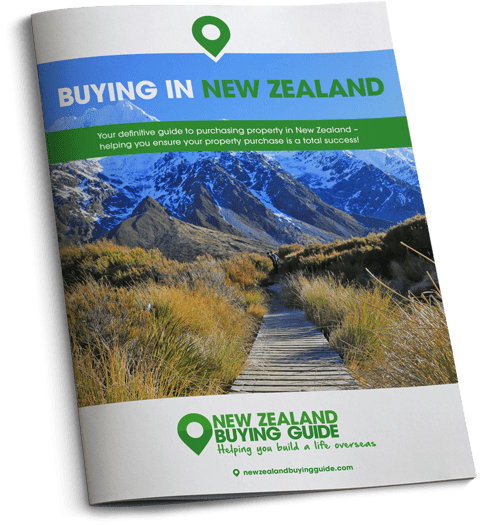 If you’re ready to start your new life here in New Zealand, don’t miss your free Buying Guide below and check out our information on your visa options. Finally, if you have any questions, just give the London-based Resource Centre a ring on +44 (0)20 7898 0549 or send an email to new-zealand@propertyguides.com.